my youngest has just bought his first BSA, a 1965 B40 reimported from America. 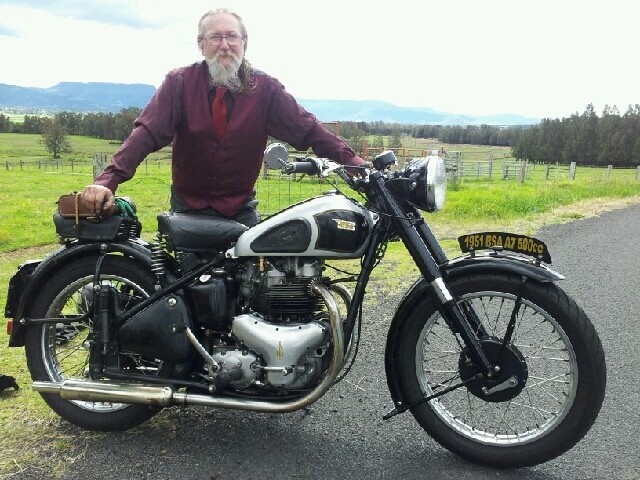 needs work, obviously but the tank was replaced with a Harley one which is past it now and he has got a decent B40 on. As the previous owner has cut the tank mount brackets off he wants to replace them before frame is painted. will have a rough idea of position I suppose it could be scaled to get sizes.